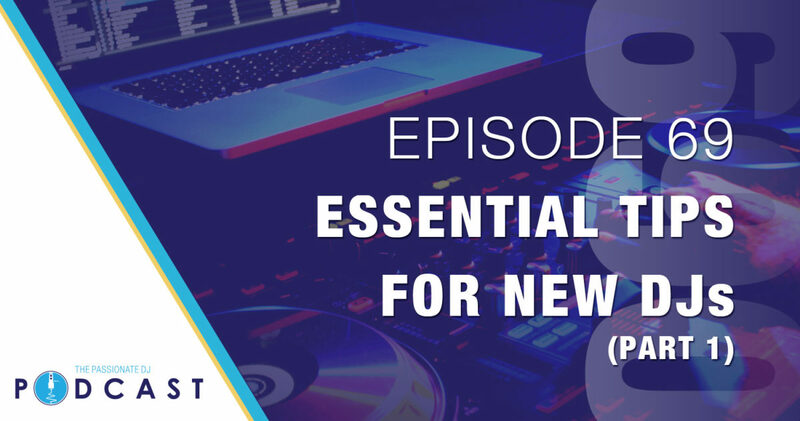 We often get a lot of questions, especially geared toward new(er) DJs, so we wanted to take an episode (or two) and address some of the topics we feel are essential for those new to the wheels of steel with some “Essential Tips”. These would even serve as a good reminder for those that are veterans behind the decks. Tip 1: Have a drink to take the edge off of your first gigs, if you want. But, it’s important to know your limits and don’t get sloppy drunk! You want your senses to be “in the zone”, and even though you may have a moderate alcohol tolerance, the point is not to be drunk on stage… it’s to perform! So, one or two drinks to relax and get rid of the jitters is typically fine, for most people. Just don’t overdo it. Tip 2: Learn proper gain staging (REDLINING = BAD! )This is a hard one, especially for new DJs, or even veterans who don’t take the time to learn the entire audio chain of events. It’s not rocket science, but there is a science to a properly gain-staged audio signal, and the audio engineer is the ultimate gatekeeper. Work with this person to sound your best. Don’t try to circumvent them, as blowing everything red out of each channel and/or the master will make you sound worse, and may even cause damage to the equipment you’re playing on. Tip 3: Be prepared to play to empty rooms. We all want to be one of those big super star DJs, playing to packed sweaty rooms of admiring dance fiends. But, the reality is that we all have to play for the staff, every now and then. This will ultimately help you keep your ego in check, learn something about playing on a club/party system, network, and try new things that you may not have, before. Tip 4: Get comfortable with mixing in your headphones or with sub-standard monitors. Not all monitoring systems are set up equally. Sometimes, the only chance at a proper monitoring system you have, is your own headphones. While not ideal, sometimes it’s necessary…so take the time to learn this critical skill. Tip 5: Become familiar with as many kinds of mixers as possible. While you may not have access to a lot of different gear, early on, the key is to at least become familiar with the absolute bare minimum critical functionality of most mixers, that way you can deliver the minimum viable product when you are on a piece of kit that you are unfamiliar with. Granted, this one may take some time and comes with experience, but doing so will pay off in spades, as you learn how consistently most manufacturers stick to common, familiar layouts and functionality. Tip 6: Opt for gig quality over gig quantity. If you’re a house DJ, don’t take a gig in a hip-hop club, just because someone offers it to you. That may seem intuitive, but a lot of new DJs will take ANY gig, just to be able to play. Unless the promoter is offering some vision or guarantee that they are trying something new or different and they think you are a good fit, know who your intended audience is, and be selective about what gigs you take. Sometimes, even gigs that might seem like a good fit, might be damaging to your reputation, depending on the reputation of the promoter or venue you’re playing for…so do your homework, and be prepared! Tip 7: Avoid music piracy; Use (true) high quality audio files, not YouTube rips. This is crucial, on so many levels. One, piracy is illegal. For two, if every artist got the revenue from every track of theirs that is stolen, that would add up and be supporting the artists we all know and love. For three, it SOUNDS LIKE GARBAGE. There’s real and concrete evidence that proves that YouTube rips (even the 320 ones) are not as pristine as so many people adamantly argue they are. For a little more detail on this, roll back to Episode 14 to get a better grasp on audio quality.